Special Buy! 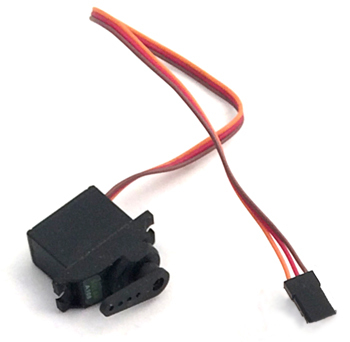 Tiny “9 gram” servos suitable for operating turnouts and small animations. Plenty of torque and throw for any scale of model railroad. Each servo plugs into one output of our Servo Control Base unit. Use with our new Servo Well Mounts for “manhole” style in-table mounting. Use with our Under-Table Mounts for completely invisible installation using a fulcrum wire operation. Servos can also be connected to turnouts or animated features using hand-made push rods or with linkages available in R/C shops everywhere. Offered in a single package, or a convenient 4 pack. Orders over $100 include free shipping to US addresses.